Yadav, who recently floated the Pragatisheel Samajwadi Party (Lohia), announced that his outfit will contest next general elections from 75 districts and was ready to enter in an alliance with Congress to defeta BJP. 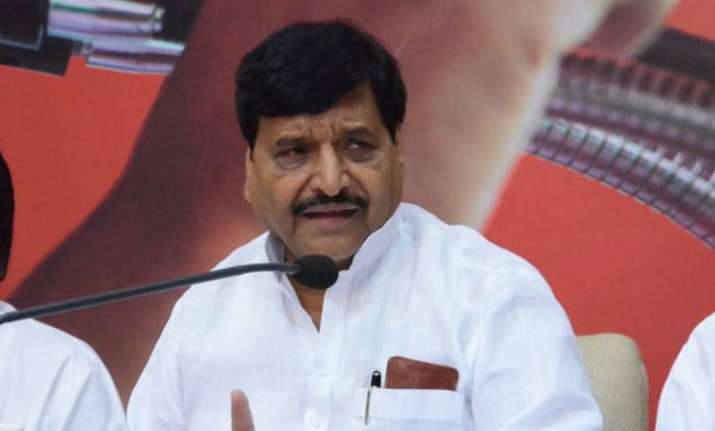 Ousted from Samajwadi Party by nephew Akhilesh, Shivpal Yadav has said he was willing to join hands with the Congress to defeat the Bharatiya Janata Party (BJP) in the coming Lok Sabha elections. Yadav, who recently floated the Pragatisheel Samajwadi Party (Lohia), announced that his outfit will contest next general elections from 75 districts and was ready to enter in an alliance with Congress to defeat BJP. To a question on the possibility of coalitions for the next year's Lok Sabha polls, he said, "We have our party's organisation in 75 districts of the state...the party has decided to contest all the seats against the BJP...to defeat the BJP, we can also enter into an alliance with the Congress". Yadav was in Bareilly on Tuesday night to take part in a programme. The estranged uncle of Samajwadi Party chief Akhilesh Yadav stressed that all those talking about forming a morcha to defeat BJP should also talk to his party which was ready to deliberate on the issue.